CDL has a research and development team that allows the company to improve its production capacities and also the quality of its products. These men and women are working day after day to find new ways to offer maple syrup producers better productivity, efficiency and profitability. Indeed, this team will never stop innovating the maple syrup industry since they are themselves maple syrup producers. They are increasingly trying to create new products to meet your needs through their personal experiences in the field. It is all of these dedicated people who allow our company to be the leader in the industry year after year. You would like to receive our catalogue? 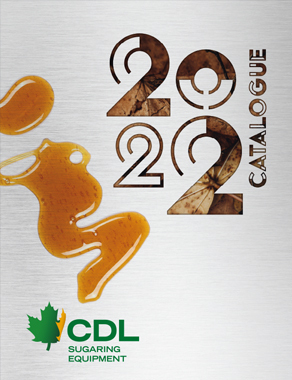 Download the complete catalogue [PDF]. One of our representatives will be pleased to help you, call us! See the complete list Quebec and Ontario.